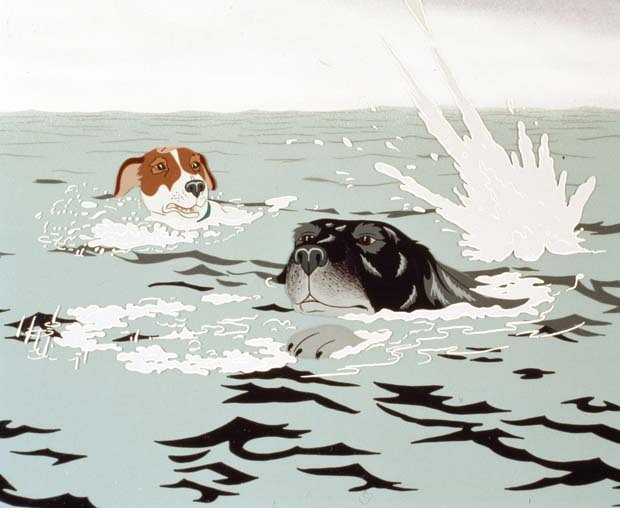 From a Movie Guide: From the team who brought Watership Down to the screen – a poignant, beautifully animated adaptation of another Richard Adams best seller: The Plague Dogs. 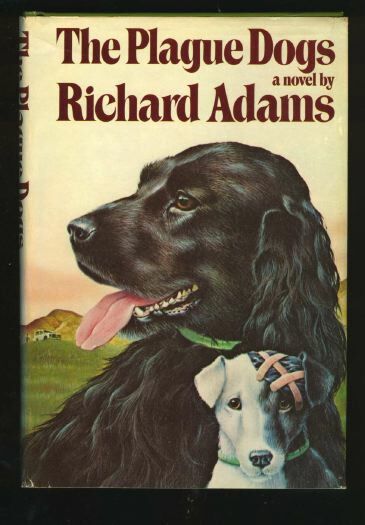 Put through harrowing scientific experiments, two dogs escape from an animal research laboratory only to be mercilessly hunted down like criminals when they are suspected of carrying the Bubonic Plague, and putting the entire U.K. at risk. Contains disturbing scenes that will move some viewers to tears. Stunning animation, excellent vocals from top English actors (and a voice cameo by Patrick Stewart), a good story, and likable “heroes” tops off this film as a must see for animation buffs and animal lovers. A deeply moving and emotionally harrowing animated film. 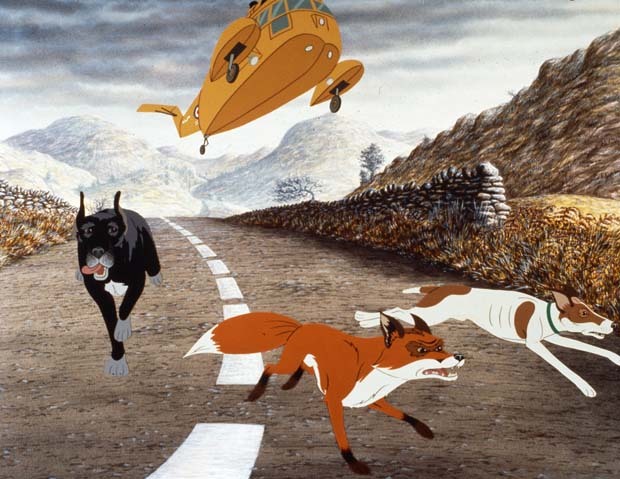 John Hurt as Snitter; Nigel Hawthorne as Dr. Robert Boycott; Warren Mitchell as Tyson/Wag; Penelope Lee as Lynn Driver; Christopher Benjamin as Rowf; Patrick Stewart as Major; James Bolam as The Tod.